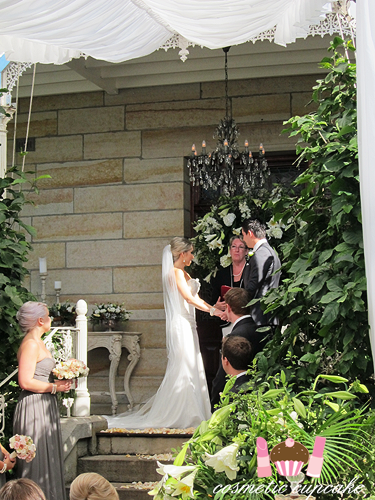 The first wedding we attended was T & G's which was held in Terara (about 2 hours drive from Sydney) on Friday afternoon. It was kind of a hassle having to trek out of Sydney but boy oh boy was the venue amazing! It was held at a private estate with the most stunning grounds but sadly I didn't take any good shots but trust me it was spectacular. The whole wedding was just absolutely BEAUTIFUL. 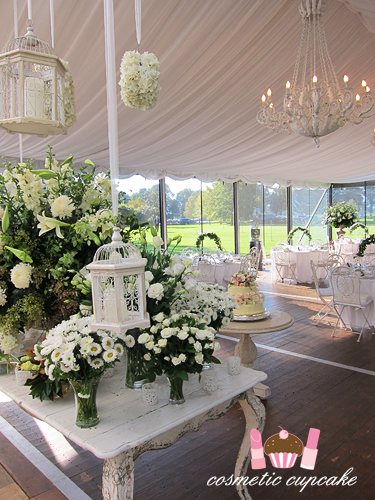 The vintage theme was perfect and every last detail was utter perfection! 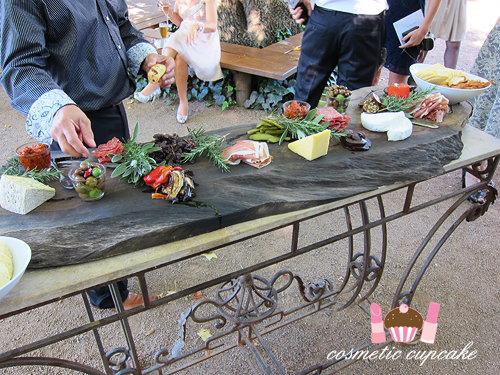 A short civil ceremony was followed by canapes in the garden while the happy couple took photos. Such a fantastic idea and the food was so yummy! 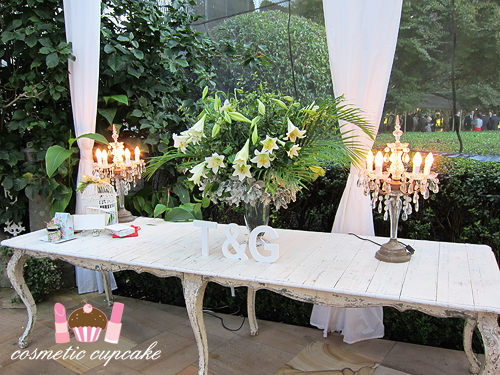 Table with their wishing well and gorgeous chandelier lights and flowers. 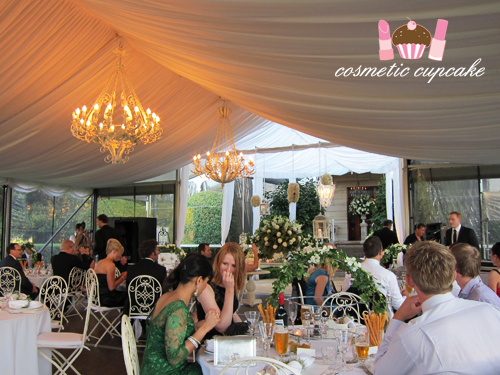 The amazing marquee and the gorgeous vintage settings. LOVE ♥ If D and I were going to have our reception Western style I would so want it to be like this! 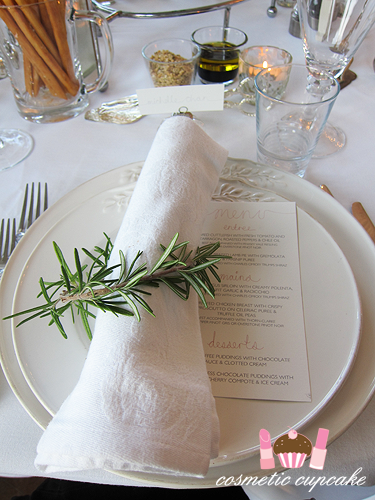 The gorgeous table setting! No pics of the food as I was the only female on the table and the boys literally WOLFED the food down haha. 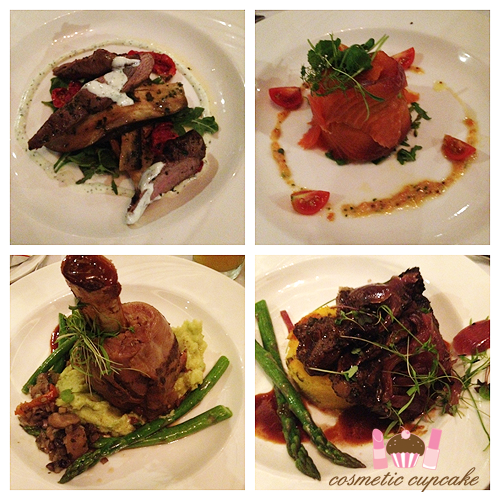 It was soooooo yummy though! 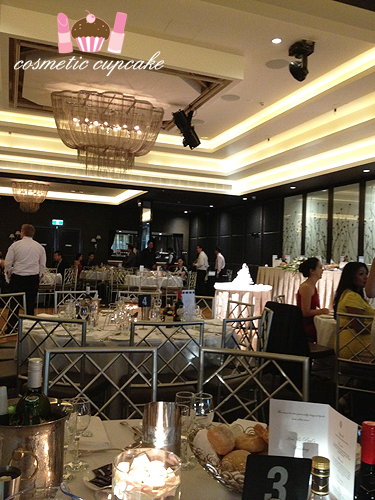 The second wedding was of D's childhood friend H and P on Saturday. 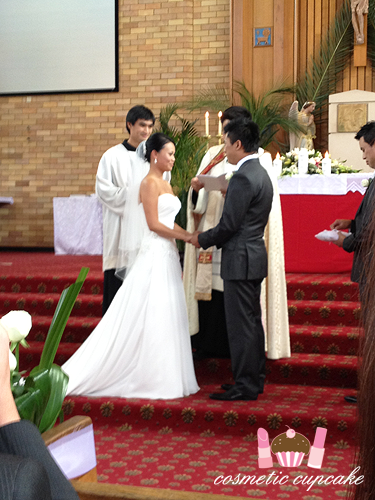 They had a beautiful church ceremony which was very emotional and there wasn't a dry eye in the church. But it wasn't all emotional as they followed the ceremony with a rocking reception. I didn't take many photos unfortunately because we were having WAY too much fun partying! The dance floor went OFF by the end of the night! looks like a lovely wedding ^^ weather was great!! saw your pictures on instagram :D so cute with your bf xD! We both had an awesome time thank you Gianna!! I just love weddings hehe. I just hope our wedding is as much fun! Seriously I had so much fun this weekend. Hehe thanks lovely Emily! 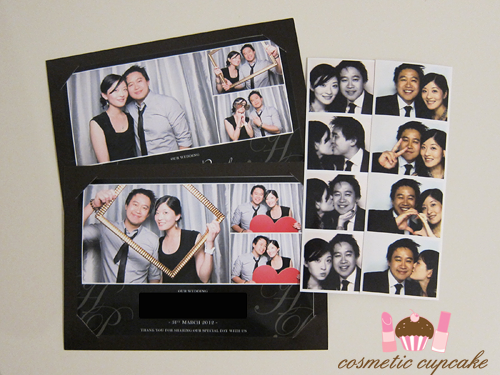 I desperately want a photobooth at our wedding lol. Awwwwww *blush* you are so sweet lovely! D doesn't really like taking photos so I had to drag him to take the pics HAHA. Super excited to get into really planning for our wedding yep! Slowly planning but taking it easy.. I refuse to stress and be a bridezilla! That's so disappointing that the weddings you've been to have been boring Alice =( Weddings can be lots of fun! The photobooth pics are great :) that food looks delicious, too. Btw, i have a totally random question for you that i've been meaning to ask for a while-i keep meaning to and forgetting, but you mentioning Sydney made me remember again. I was just wondering, since you live in Sydney, if you ever see any of those Sydney Funnel Web Spiders? Ive seen them on shows here and they look soo scary, I can't imagine living somewhere where you could run into one at any time. You've thrown me there - it is a bit of a random question! xp Ummmmm I have never seen one thank goodness! I think they might "live" outside of Sydney..? In more bushy areas? naaWww love is in the air. i love weddings too, getting dressed up, taking glam pics (love the photo booth idea) and dancing =) thanks for sharing these special pics.